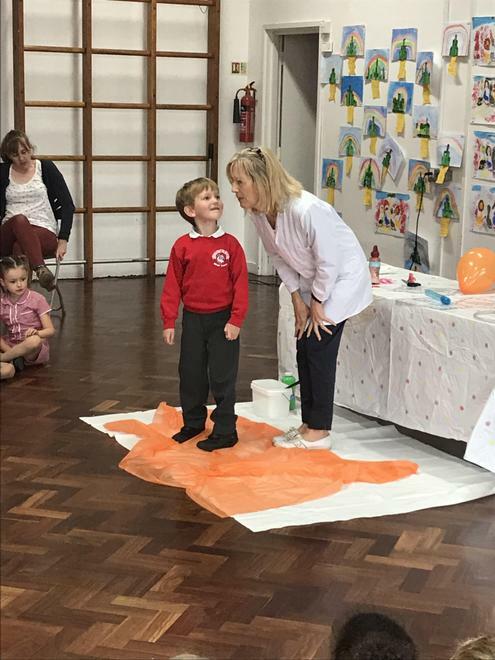 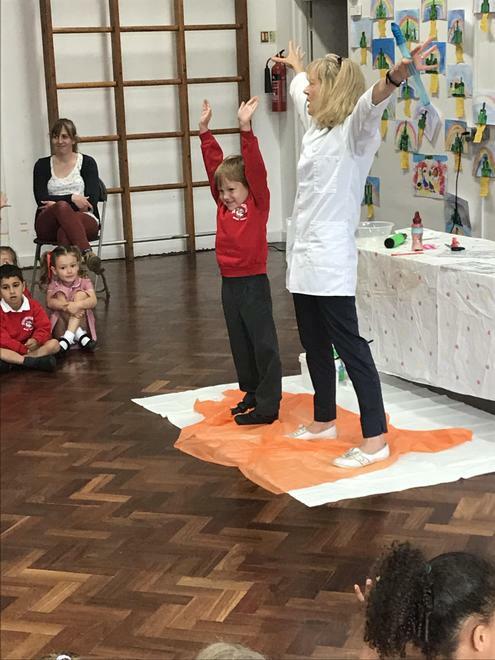 As we came back to school after a lovely half-term break, we were all very excited for Science Week. 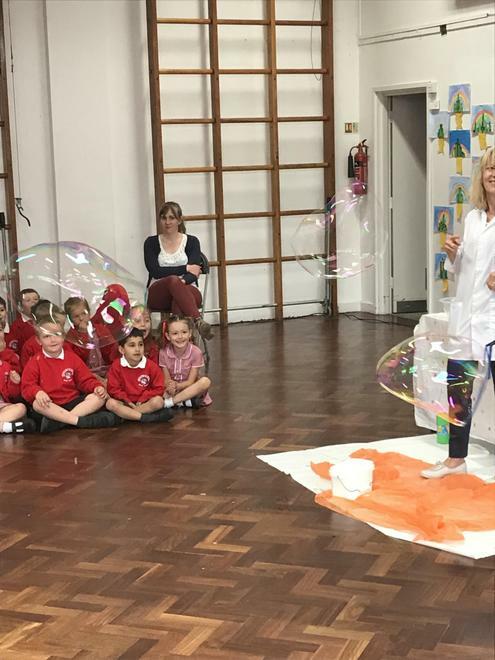 This was started off by a brilliant assembly where we watched enormous bubbles and exploding custard! 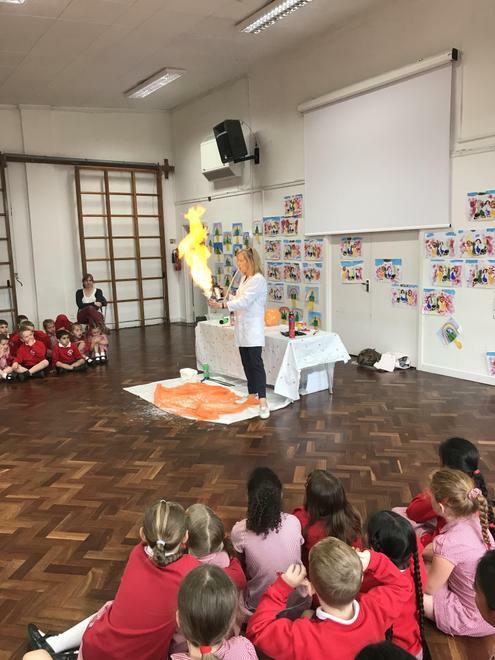 The excitement was heard by all the children as the 'fire' nearly went up to the ceiling! 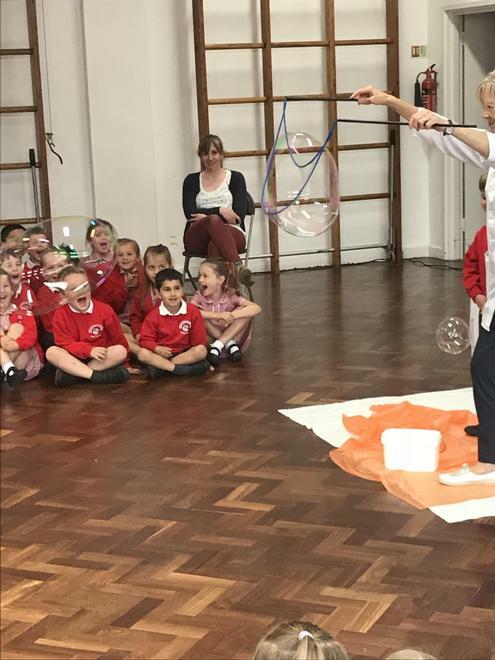 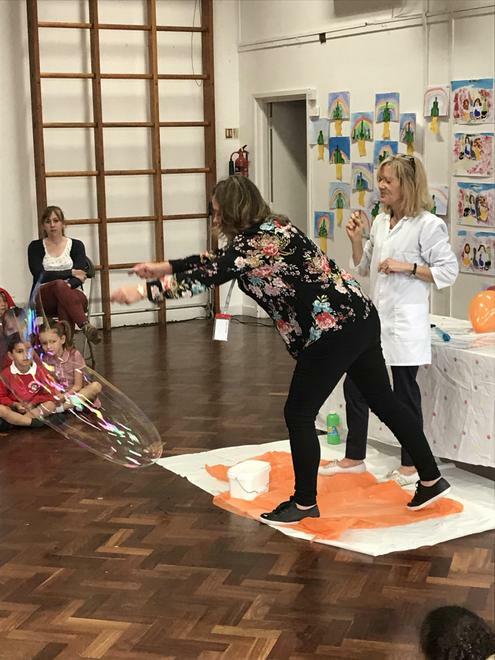 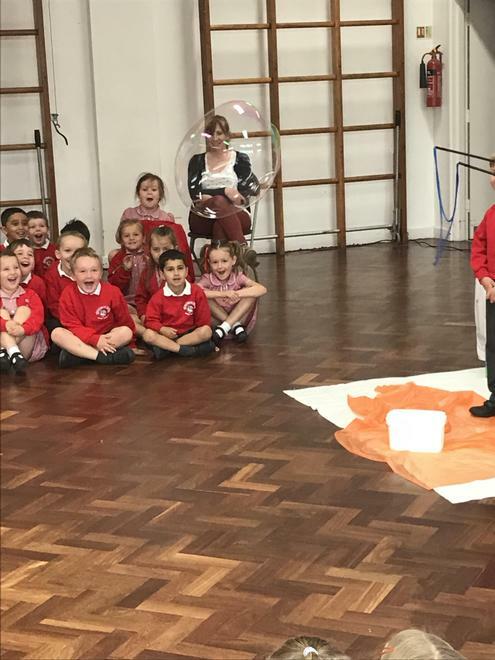 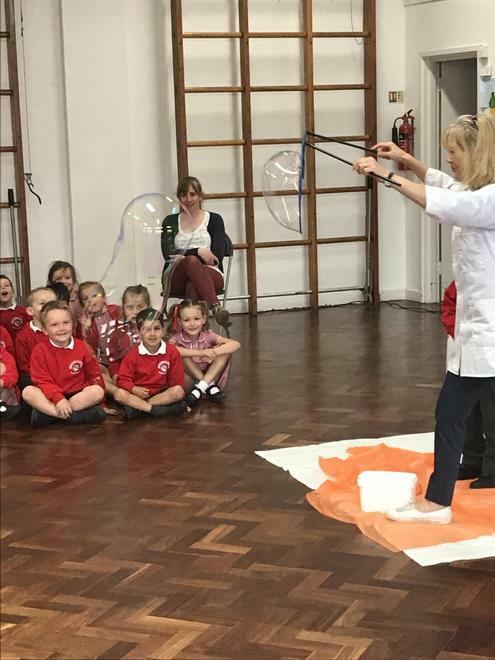 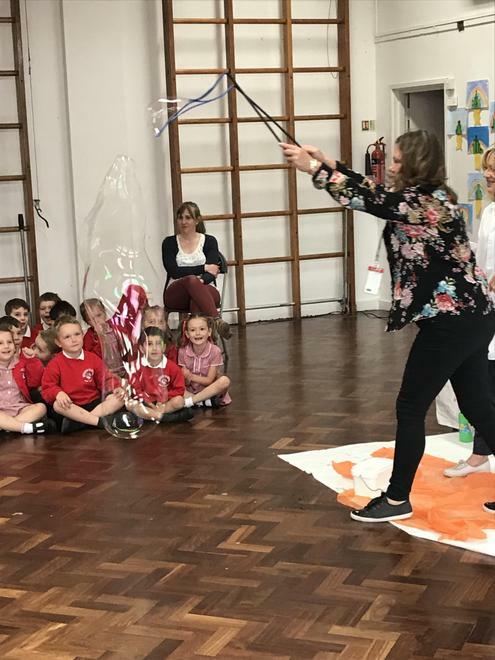 The bubbles were so huge and even Mrs Bagley managed to make one! 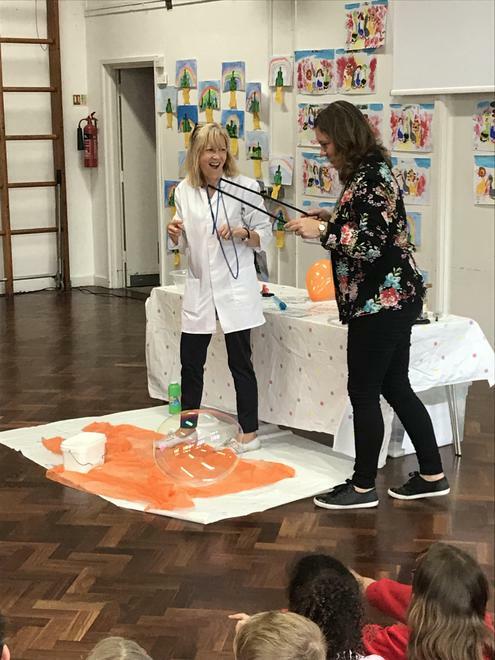 Take a look on the Class Pages for photos and on the school video page for the exploding custard!